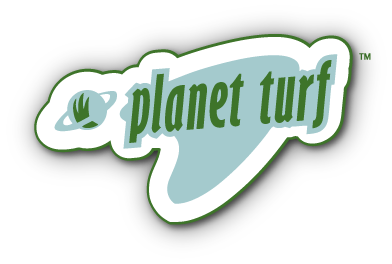 Planet Turf takes our mission seriously. To do what is best for “every blade of grass” and deliver to you the most advanced nutrient delivery systems that are effective and economical. We are pleased to present our Seed product line up. L-93 Bentgrass – One of the stable, long successful bentgrasses, used for greens, tees, and fairways. Excellent winter hardiness, fine textured with good dollar spot and brown patch resistance. Alpha Bentgrass – Excellent wear tolerance and aggressive germination. Great for interseeding or new stands. Universal Turf Blend -Bluegrass/Fescue/Ryegrass – Blending 3 cool season species results in a mixture that can be used in sun, shade, rain or shine! The ‘universal’ application makes this perfect for high quality lawns, repair work, or planting where a mix of environments exists. Moving Out RYE – Creeping, spreading, and innovative MOVING OUT perennial ryegrass with the ability to repair damaged turf quickly via reproductive tillers. Excellent for football fields, tees, repairing damaged areas from traffic. Planet North 70/30 blend – Need to get fast germination and fill-in, but want some “knitting’ qualities of bluegrass? Our 70/30 mix covers those bases. Planet BLUE KBG – For the discriminating grass grower. Dark blue, pure stand, low growing, infrequent mowing. Planet Blue is the highest quality bluegrass in the world. Planet RYE PRG – Cover the planet fast! 4-5 days germination time, up and growing fast to fill in damaged areas, divots, between the football hash marks. Throw it on asphalt, it will grow. Like a CHIA PET. Dark color, does not shred when mowed, like cheap low quality ryegrass that is better for sheep grazing. Planet Rye – the choice of professional golf course and sports field managers. GLY RYE – Imagine weed control with one chemical – glyphosate at 8 oz. per acre, costing you only $1.50 per acre to control Poa annua, clover, dandelions, and other weeds. Convert that old worn out sports field, or tee, to a vibrant green, aggressive stand of pure ryegrass, and keep it that way with periodic applications of glyphosate (check out Planet Turf’s Glystar). Scottish Links – A blend of fescues that will produce the Scottish links look of St Andrews. Low maintenance, low growing, hardy, and dependable. Looking for a great look, whether mowed, or left natural, Scottish Links is the answer.